It is national vegetarian week in the UK , and here is a South Indian dish to celebrate this week’s event! 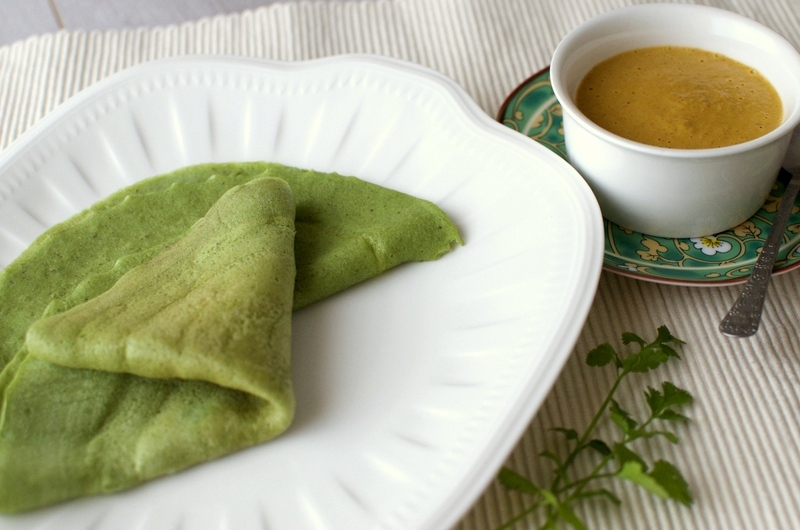 Mung bean dosa is known as Pesarattu in the southern state of Andhra Pradesh and is a beautifully healthy crepe. It is made fresh and mostly served for breakfast along with simple chutney. 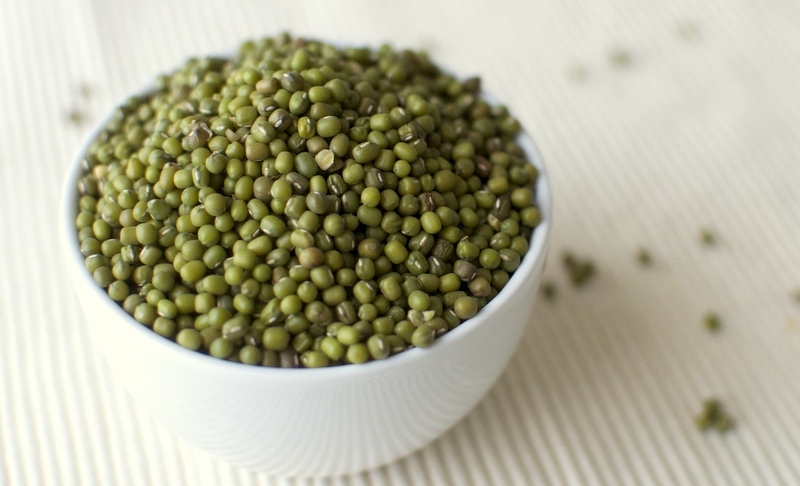 Mung bean is known as the queen of legumes and is one of the most popular beans in South India. 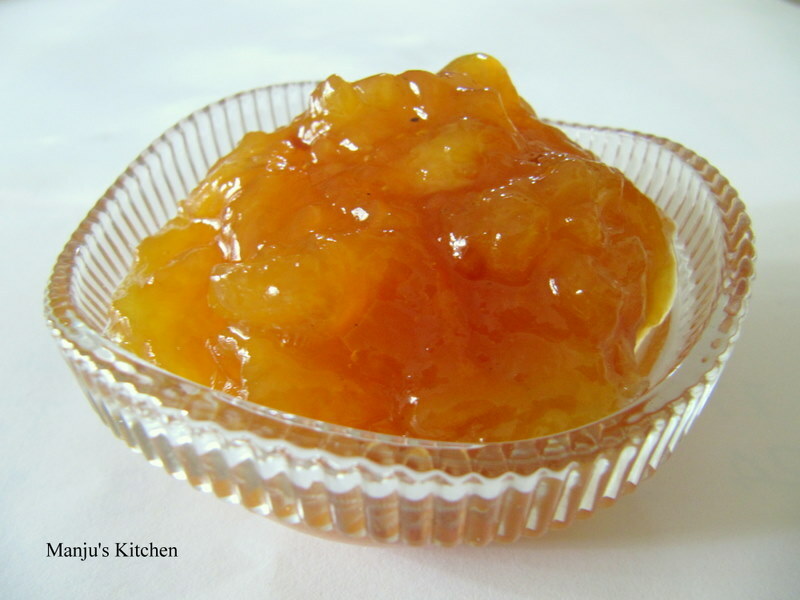 It is easy to cook and is full of nutrients, minerals and vitamins. It is used lavishly in vegetarian cooking because of its easily digestible quality compared to other beans. It is made into delicious daal curries, cooked with vegetables, made into sweets and many more. When the bean is whole, it is covered in a beautiful green skin. On the inside is the golden yellow mung daal which turns into a creamy mash when cooked. For this recipe, whole mung bean is washed and soaked overnight with some long grain rice and then ground in a blender with the addition of lots of fragrant coriander leaves, fresh green chilli, one plump clove of garlic and a small knob of ginger along with some purple shallots. Once the batter is ready, the process is very simple – simply spread a ladle full on a hot griddle and cook both sides for a few minutes each. You can add a teaspoonful of oil or ghee while cooking on both sides, and this will make it slightly crispy and golden. However, I like to cook it on a low fire without any fat to preserve the striking jade colour. 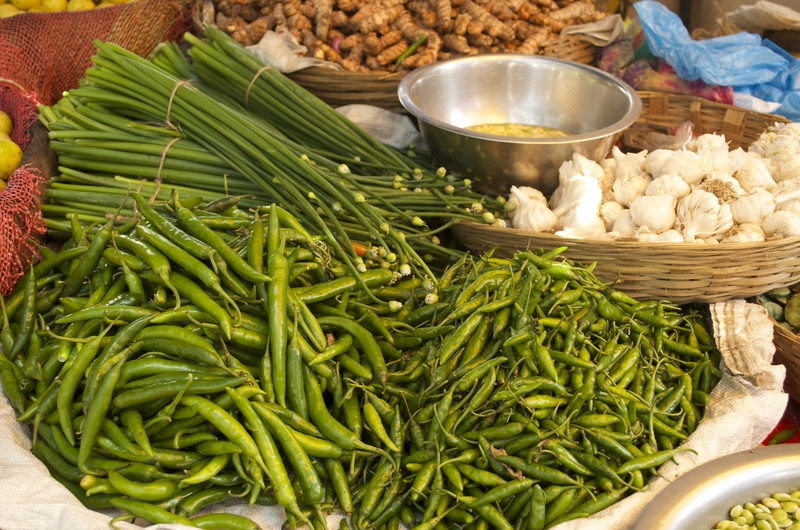 Serve it piping hot with any fresh chutney of your preference. Wash and soak mung bean and rice overnight in plenty of cold water. Drain the bean and rice and grind it in a blender with all other ingredients and a cup of water until it is a smooth batter. 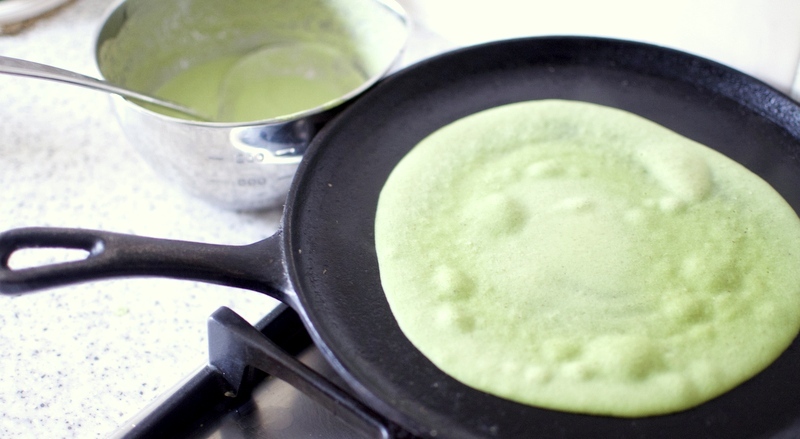 Add enough water to create a pancake batter-like consistancy. 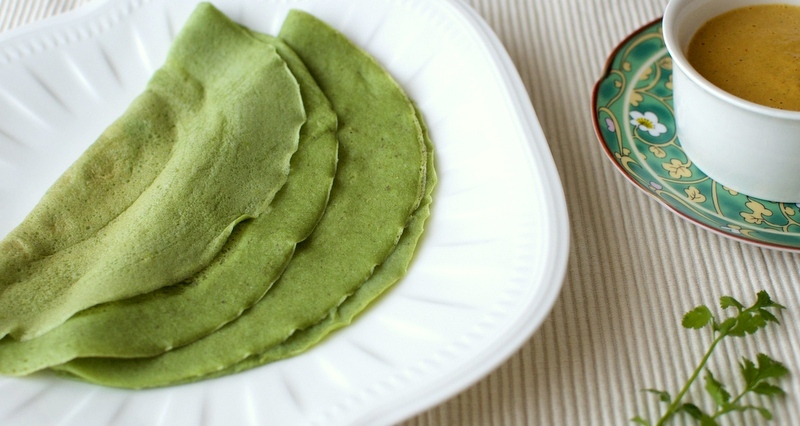 This moong dosa looks healthy and delicious. Totally going to try it soon. Great recipe !